Many recipes call for either yolks or whites. How many times have you washed egg whites down the drain while only using the yolk; like in pasta carbonara? How often have you thrown away 6 perfectly good tediously separated yolks after using the whites for meringue? So much waste! Think of the times you thought you had eggs but didn’t and had to drop everything and to go to the supermarket; infuriating. 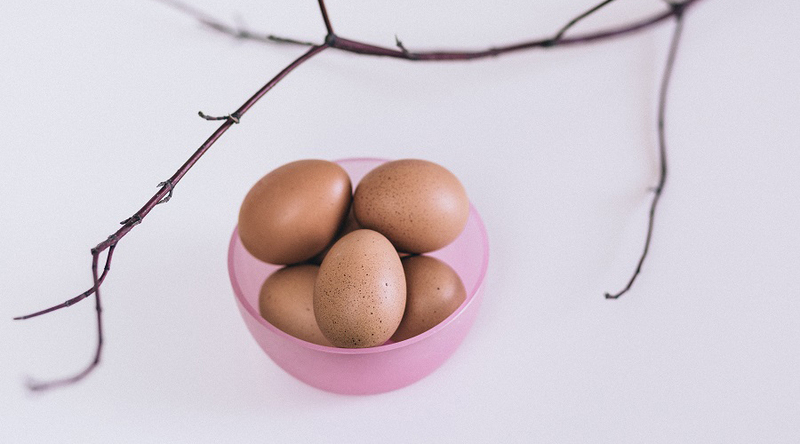 Did you know that in a home freezer, you can store eggs for up to one year? So with a little effort you could always have eggs on hand. Separation anxiety: Carefully crack and separate the yolks from the eggs. For faster thawing and easier measuring, first freeze each white in a standard ice cube tray. Once frozen transfer to a Vacuvita container and return them to the freezer. With your smartphone you can scan the QR codes on the containers, and the Vacuvita app will keep track of your inventory. Using the ice cube method again, you now have a stockpile of ready to use egg yolks at your convenience. Whisk until blended, pour into Vacuvita containers, vacuum seal, label with the number of eggs and the date, and freeze. Freezing whole hard-boiled eggs is problematic because the whites become tough and watery. You can however, freeze hard-boiled yolks to use later for toppings or garnishes. Simply whisk your yolks and divide them into Vacuvita containers. Using the sous-vide method boil them, let them cool and transfer them to your freezer. Thawed frozen eggs should be used only for cooking or baking. Thaw them overnight in the refrigerator or under running cold water; not in the microwave. Use yolks or whole eggs as soon as they’re thawed. Thawed egg whites will beat to better volume at room temperature.